Carl loves to do handstands, headstands and high kicks! Creator of the tagline "POWER, PUSH, EFFORT ENERGY!!!!" Carl is the Founder/CEO of Wheel House. Defined in the dictionary as "an area of expertise, a particular skill," the Wheel House studio name embodies Carl's fitness career. He is a veteran on the San Francisco fitness scene, having been a group fitness instructor and personal trainer at a variety of gyms across the City including Equinox, StudioMix and 5 different Crunch locations. 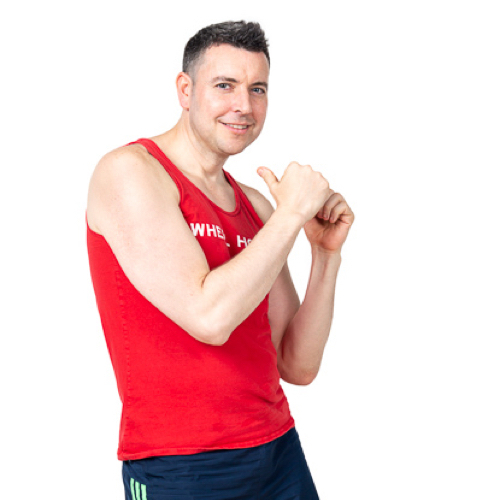 Throughout his fitness career, Carl has worked to understand what makes classes successful. and incorporates the latest techniques and equipment when he teaches. He has built a reputation for fun, energetic and challenging classes (highkicks included!) that continually bring people back for more!